Transform your complexion with the Essence stay all day make-up. This long-lasting foundation ensures a smooth and silky complexion that will take you through your day. Its delicate texture gives an even application. A high-quality pump dispenser allows you to take just the right amount for a natural, radiant look. Delicate texture for a simple and even application. Comes with a high-quality pump dispenser. Explore the entire range of Foundation available on Nykaa. 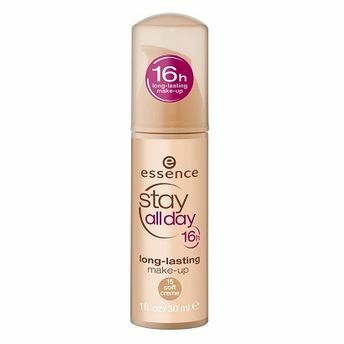 Shop more Essence products here.You can browse through the complete world of Essence Foundation .Alternatively, you can also find many more products from the Essence Stay All Day 16h Long Lasting Make Up range.